I really need to loose weight! .-= Melissa´s last blog ..DoGood Headquarters – Sponsored Post =-. This sounds interesting. Unfortunately I could use a little help from a book like this, and everyone seems to love it. It must have some good info. I would love to read this book, it sounds very interesting. 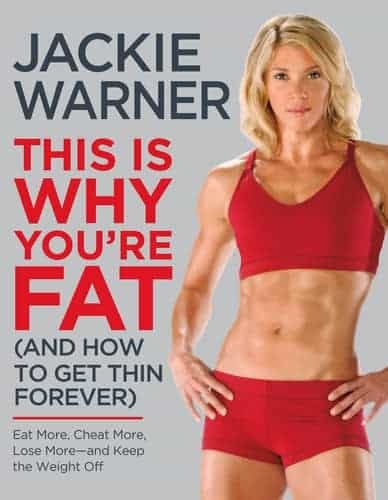 Im a college student and have suffered with obesity my whole life and I NEED a change like this book! I just joined the blog frog community! What is that exactly anyway? Looks pretty cool! Love to get this Jackie book! Thanks!!! .-= gaileee´s last blog ..Sew here I go! =-. I’d love to win this book. I have 10 pounds left to go before I reach my goal! Maybe this is the book I need to get my momentum started. .-= Jennifer M´s last blog ..Ergo Sit Giveaway! =-. Love to see what this is all about! I need to lose weight for medical reasons and it sounds like this book would be a great help. I am so curious about this book and would love to win it! I love the two-week jump start where you add food instead of remove it! !